Us Brits are known for our liking of the great outdoors. But just a few years ago many of the UK's lidos were facing closure, or if already closed, the demolition ball. Cheap package deals, which saw people head to foreign lands for holidays, and a lack of council cash were blamed. 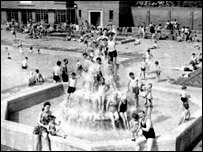 But the fortunes of outdoor pools are on the up - so much so that a conference is being held this week for lido lovers to share secrets on saving local venues. Janet Smith, self-confessed Tooting Bec Lido-addict and author of the book Liquid Assets, is pleased that times are changing. 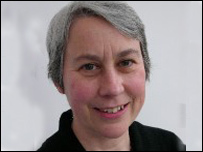 She believes the upturn in Lido use is partly down to a renewed interest in outdoor exercise. "We lead very busy and hectic lives and you go to a lido and it's a very simple, relaxing space," she added. "You can stay all day if you wish. In the summer I can think of no better place to spend the day - especially in London but also any other urban environment - you can have a swim, chill out for a bit, sunbathe, get something to eat." Ms Smith says that in the 1930s, when people were less able to afford foreign travel, the lidos themselves were holiday destinations. The era was a boom time, with 169 lidos being built across Great Britain in that decade alone. Ms Smith says that just 31 of that 169 remain today. The author says there is another side to the loss of the facilities and that is the disappearance of "wonderful art deco buildings". Liz Hughes, of the London Pools campaign, says this sense of history has brought people out in support of London's lidos. "When you talk to people who have grown up in London, often one of the things they talk about is whole days spent at the lido and how they learnt to swim without even realising. "People feel they are losing something from the past." Funding has proved a big obstacle, with most lidos unheated and therefore only open for a few months each year. Ms Smith says this means they cannot support themselves and need backing from local authorities - but many find it hard to justify big injections of cash without a return. This is why the lido has to evolve and make itself a venue for a variety of events. The popular Brockwell Lido, in Brixton, south London, has tried to combat a lack of money by hosting club nights and most recently a play. But one London council believes spending £3m on getting a well-loved lido back into use after 20 years of closure, will pay off. Hackney will heat the London Fields Lido pool, which is due to re-open this summer, as well as spend £500,000 on adding a retractable roof. A spokeswoman said the roof will help keep the warmth in during winter months and as a result, the venue in use all year round, improving revenue. The mayor attributes the decision to take on the project to local feeling. He said: "I know that the local community have kept the dream alive of reopening for years and now we are in a position to pay back those years of commitment." 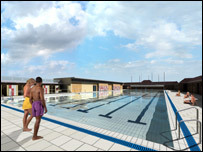 Hackney wants people to visit east London specifically to go to the lido and hope its competition length pool will attract Olympic teams for training. Wandsworth Council has backed Tooting Bec Lido, in south-west London - which celebrates its centenary this year- giving it £500,000 for improvements. The London Pools Campaign is now doing its part to get people into London's 11 lidos and is launching a Golden Goggles award for the best. Swimmers are being asked to visit and rate the outdoor pools. And if anyone is in any doubt about the appeal of the Lido, Ms Smith says there is a certain magnetism. Ms Smith said: "I'll never leave south London, I couldn't move away from Tooting Bec Lido." The Reviving Lidos conference takes place on Thursday in the City and is organised by Played in Britain.